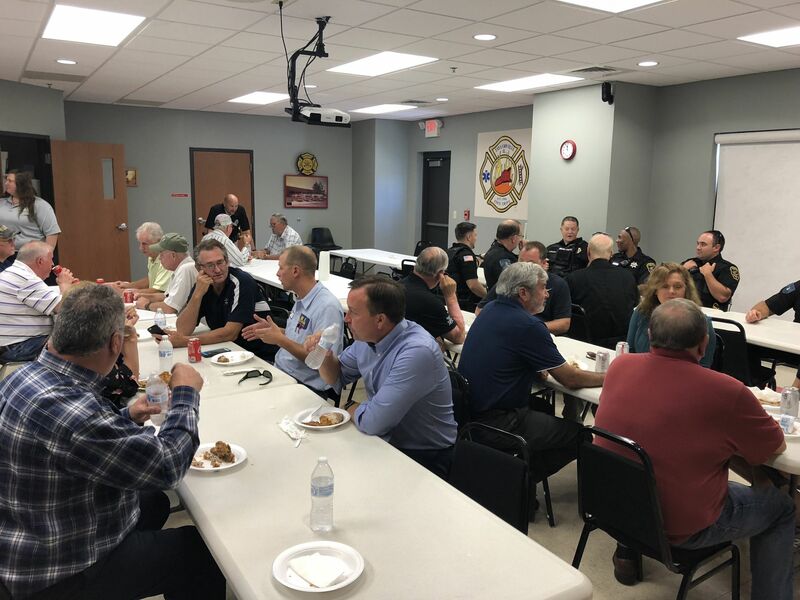 Yesterday, Mayor Bruce Barry held a First Responder Lunch that invited all those who help protect and serve our communities. The lunch was held at the Taylorville Fire Station and was a great success that will now be held yearly. The idea can be credited to Mayor Barry, who thought of it over the weekend. Barry mentioned that next year the event will be more advertised, and he hopes to get more people to the lunch. However, Barry still says that the event went over very well. The purpose of the lunch in is a way to say thank you, and honor those who take their time to protect their community.